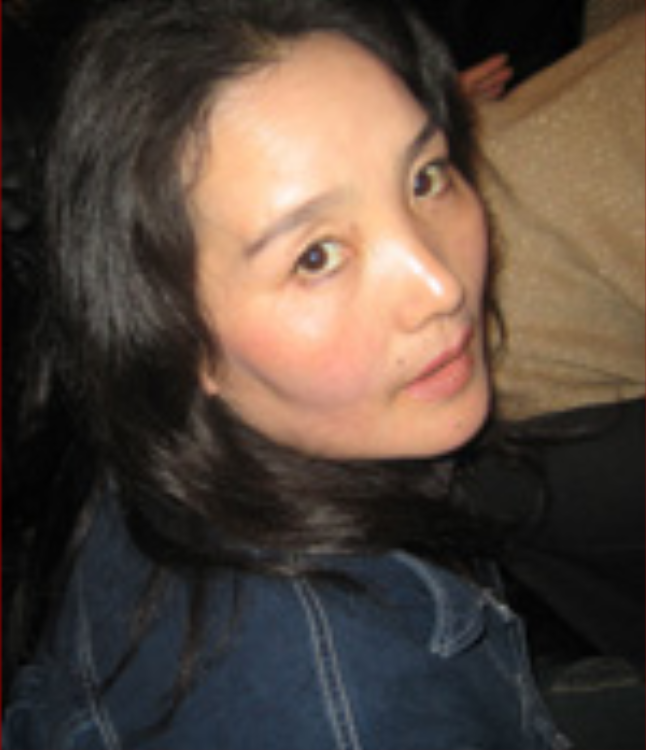 Writer and singer Jamyang Kyi, a vocal advocate of Tibetan women’s rights, was detained from 1 April to 20 May 2008, during which time she was tortured. After her release she wrote an account of her detention entitled “A Succession of Torture” and “They”, on her Tibetan blog. (The blog has been shut down). 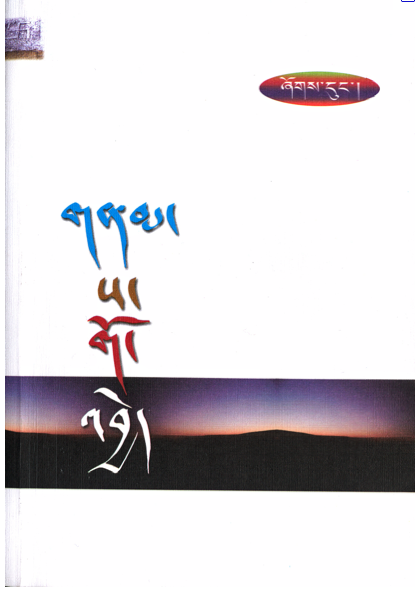 Her writings since May 2008 include moving letters to her friend Norzin Wangmo, who is currently serving a 5-year prison sentence. – Visit Jamyang Kyi’s Music Page. – Part of “A Succession of Torture” has been translated by International Campaign for Tibet and is available in the report, “LIKE GOLD THAT FEARS NO FIRE: NEW WRITING FROM TIBET“. They constantly tried to use various methods to make me betray others. During that time, one scene from “The Lives of Others” occurred to me from time to time. The woman in the film, after endlessly suffering unimaginable degrees of intimidation and atrocity, loses herself and turns her back on her beloved man. When the man stares at her with a sense of disbelief, unable to bear her feelings, she runs onto the road in front of an oncoming vehicle. There, she ends her blooming beauty and precious life. Though it has been over two years since I saw the film, I cannot forget the depth of frustration in the man’s stare and the aggrieved look on the woman’s face. Today, these images from the film appear even more real in my mind. My heart cracked like a dried out riverbank with feelings of sadness, hopelessness, frustration and anger. And I longed for the moisture of light rain. One evening when I was tied to that chair again, I heard the sound of religious songs of a melancholic nature. I realized that this was the first time I was hearing the sound of a living being. This was soothing medicine for my bleeding heart. Since then, I began paying attention to this prayer-tune and awaiting it with hope each day. At that mosque, the devout practitioner prayed 4 to 5 times every day. Normally that prayer-tune could have been perceived as being unpleasant but during those days, it became the best medicine to revive my spirit. For that, I’m deeply grateful to the Mosque and practitioner. If ever a day comes for me to get out, I swore to myself that I would pay a visit to the mosque. Even today, that wish hasn’t disappeared from my heart. In a magazine there is an oil painting of a landscape that I have looked at countless times. In the painting there is a lone cottage of European style that stands by the lake. That was the only home in the wide hilly grassland. It affforded me a sense of tranquility and peace. Imagining that house to be my own family home, I began to visualize my two daughters playing chase in the grassy meadow near the house; my husband cutting grass beside the lake and I myself, busily cooking dinner awaiting the return of the cattle. That, too, became a means to console and revive my shattered spirit. One day, as soon as the protests first began, my husband said with a sigh, “Those who have died are already gone. But those who have been arrested are certain to be cast into the eighteen realms of hell and bound to suffer immeasurably.” On the other hand, empathizing with those who had died and their bereaved and loved ones, I was deeply touched and moved to endless tears of sympathy. And at the time, I could not fully comprehend the implications of the incident in which three Tibetans had leapt to their death from a house top. Each interrogation session aroused a different kind of fear in me. One day in the middle of an interrogation, I thought instead of enduring this, it would be better to be killed by a single bullet. My family and relatives would grieve but as for me, I would have to suffer the pain only once. One day when I was in the washroom, out of nowhere, I found myself thinking about the means or methods of taking my own life. Those days I remembered the small knife that was confiscated at Zhihu Hotel. They hadn’t seen another small knife that was in my handbag during the search. When the chief interrogator asked why I kept a small knife, I replied that it was for eating fruit. But on the other hand there is a small story about this small knife. Ever since the Chinese-Tibetan conflict had flared up, and as result of the government’s deliberate propaganda, the Chinese would stare at Tibetans with hatred, whether it be in a bus, the market place or on any public road. Once, when I was walking down the road with my daughter who was wearing the traditional chuba that my friend Walza Norzin Wangmo had bought her as a gift, a Chinese kid of about six or seven years old came yelling in front of my daughter and stood blocking her way. This kind of Chinese attitude wasn’t an isolated incident that we experienced but rather the common experience of other Tibetans too. So, for self-defence I had bought another small knife. Later, on reflection, I felt relief that I hadn’t had the chance to get hold of those two knives. Otherwise, during an interrogation session, under unbearable torture, I frantically searched my pouch and then stared at the blue veins of my left wrist. Were I to get hold of the knife then, I would surely have cut the veins of my wrist. During those days, Wang Lixong’s essay on the stages of suicide came to mind from time to time. And it was a completely different feeling from when I had first read it. I realized for the first time how difficult and harsh it is to betray and deceive someone. I felt that I could understand him now that I could understand it myself. During those days when I was thrown in front of the six gates of hell, the person I thought of most was my kind and dear mother. Although it has been nearly three years since she passed away, she is very much alive in my heart. What is comforting is the realization that my dear mother has already left me. Otherwise, if she were alive and to witness my incarceration in prison, I know she would go insane. 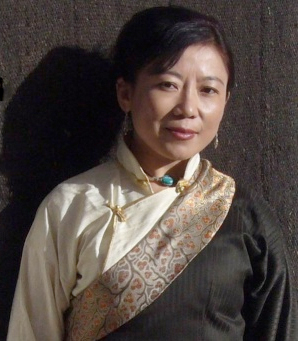 Woeser is a Beijing-based Tibetan poet and writer who is under watch by the authorities because of the critical content of her Chinese-language blog http://woeser.middle-way.net/. Many translations of Woeser’s writing can be read on the blog High Peaks Pure Earth and collections of her poetry, along with more biographical details, are available on the website Ragged Banner. The following poem was written after a short visit to Lhasa (where Woeser was born), weeks after the 2008 uprisings began. Now a city of fear. Where the fear is greater than all the fear after ’59, ’69, and ’89 put together. In the catch in your throat. maybe hauled off into some corner and no one will know. Where the fear starts at the Potala and strengthens as you go east, through the Tibetans’ quarter. They are like demons invisible by day, but the horror is worse, it could drive you mad. A few times I have passed them and the cold weapons in their hands. Swiveling from the outer world to peer inside your mind. “Zap zap jé! º They’re watching us” — among Tibetans this has become a byword, furtively whispered. The fear in Lhasa breaks my heart. Got to write it down. Zap zap jé (Tibetan): “I beg you, be careful.” These days, a very common expression among Tibetans. [I was in Lhasa from August 17 to August 23, my shortest stay ever, and I had no choice about leaving . . . these words were to remember it by. 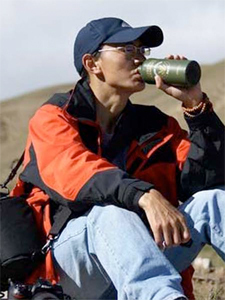 Kunga Tseyang is a popular writer, blogger and photographer who is passionate about the environment. 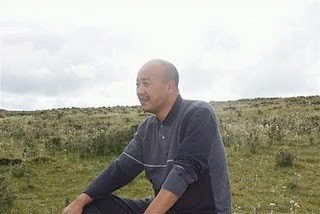 He was taken by police from Labrang monastery in Gansu province on 17 March 2009 and was sentenced to five years in December 2009. 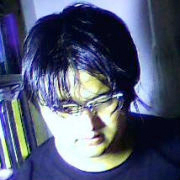 Kunga Tseyang, who is a monk, is thought to have been detained as a result of his essays on a website named “Jottings” or “Rough Notes” (Tib: Zin-dris). Information dissemination is the most important tool in carrying out any kind of action or campaign. However, if one’s ways of spreading information crosses the standard norms then that campaign is bound to become a meaningless stammer of a drunken man. This year the peaceful Tibetan protesters were infiltrated and were misled to a wrong path. The China Television, Lhasa TV and others, while ignoring the truth, have excessively branded all Tibetans as separatists. This has caused an incurable communal injury between the Chinese brothers and sisters, and Tibetans leading to Chinese disliking the Tibetans and Tibetans holding animosity towards the Chinese. I, as a person, am forced to accept the fact that this was the biggest factor caused split among the nationalities. Tibetans are driven to a desperate position because of them being accused of doing things, which they never did, and small incidents were exaggerated and paraded before the world. Even Tibetans who worked for the party for over two to three decades were accused and the Chinese news media, the experts that they are in fabricating lies, went to schools and universities where there are only a handful of Tibetan students to accuse them and to witch hunt them. Such excessive misinformation and wrongful acts have caused a huge chasm and disturbance in the minds of Tibetan officials and students who have absolute love for Chinese brothers and sisters and liking for the Communist Party of China. This has left a feeling of ‘racial hatred’ in their minds. This is the negative consequence of their incompetent reporting. Under these circumstances our freedom of movements are restricted by roadblocks, checkpoints and ever-present military personals with guns pointed at us. I must strongly assert that confiscating the photographs of our beloved leader His Holiness the Dalai Lama, by burning them, and stamping them under the soldiers’ boots are the real causes of splitting the people. Detention of Tibetans for possessing His Holiness the Dalai Lama’s photographs, disparaging them for putting His Holiness’ pictures on their altars are the real causes of split amongst the nationalities. Unless you [the Chinese Government] are able to break our love and respect in our hearts, all your fruitless campaigns and activities will only strengthen our unity and love for one Tibetan brother to another. I have always believed that soldiers are heroes protecting national security, building harmony amongst people and helping economic developments. However, this year all these proved wrong because of their biased actions, killing of innocent people, their plundering and ransacking of properties and shops, their expertise in suppressing dissents and their lawless marauding style. I state this based on facts and the actual events as it happened in Ngapa regions of Amdo and Kanlho regions [in Eastern Tibet.] If these things happened because of a few military officers and officials in local administration, then I can strongly say that you are the real agents splitting the nationalities. Moreover, people at the local Public Security Bureaus, military and regional Communist Party cadres piled a large amount of fabricated, negative information and petitions in front of the Central Government in order to obtain huge sums of money to fund their so-called victories against protests and to continue their suppressive actions. How are these actions not meant to split the nationalities? A series of large-scale policy mistakes were made because the local level cadres were busy trying to please their bosses in the higher levels. Why is the Communist Party of China silent like a man with one eye closed and ears gone deaf in face of such unlimited actions carried out to harm the unity of the nation and stability of the country? Lamas may make mistakes, leaders may make mistakes and the government too can make mistakes. But the time has come for those people responsible for causing harms and disunity be paraded before the public and be made answerable for their mistakes. If this can be done, we will still have some faith in improving our relationship with other nationalities and to build a harmonious society. An image is built in the minds of both the Chinese people and Tibetan brothers and sisters of the other side as someone who is to be scared of and to have hatred towards each other. We ask: Why must they beat and torture our brothers and sisters this way? And by lying and fabricating wrong views, we have come to a state where even a Tibetan truck driver is scorned. The general impression being created is that of Tibetans as people who are not even worth to look at. When we talk in more general terms, Tibetan and Chinese people have a long tradition of helping each other and have deep mutual respect and admiration. However, the portrayal of Tibetans in Chinese official media this year has left an image of Tibetans as enemies. Has this become a factor that would improve harmony or has it become a cause for its destruction? This is an issue that the leaders must think about; this is an issue that is worth thinking about because the harmony of the nation will be build on this foundation by taking positives actions on it. This is something that is never too late to pursue. Gade Tsering is a prolific poet from Amdo, who writes in Tibetan and Chinese. 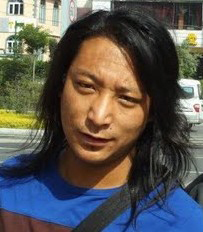 He is very popular amongst Tibetan netizens and has previously also received official recognition for his work, including “National Top 10 Minority Poet” and “2006 Northwest Outstanding Poet”. Gade Tsering”s Chinese language blog (http://blog.sina.com.cn/gadaicairang) is one of the most read, not only among Tibetan readers, but it is also popular among Chinese readers. She never rejects those who she loves. It was here the Defender of Faith of Chushi Gangdruk had been defeated. Which has completed my life and repelled my fear of loss. As well as all living things. As well as the feeling of being loved. In the existence of sacred spirit. I can recognize a chick in the ugly photographer’s vest is a Sichuan chick. I think everything is dreadful for a reason. If the whole land is darkened by night? And, the Tibet Empire and the Tibetan song of Gesar orally passed from generation to generation. I have obtained enough comfort. I’m no longer in sorrow. I get up to light a butter lamp. At this moment, the night seems so real and profound. Not for killing other lives. “Life and death are separated from each other. And I want to intimidate myself. There they came on a Saturday afternoon. There they came, in buses appearing as armoured cars. There they came, with buzzing saws, ropes and other equipment. There they came, the seven workers. There they came, the seven devils. There they came, holding beer bottles like flowers, drunk. There they came, in camouflaged green outfits. I want to worship my gods in awe. I want to partake in all my religious festivals. How far must I go to arrive in the land of Tibet? How far must I go to meet my parents? How far must I go to wear Tibetan clothes? We are heading for Lhasa. Enduring aggravating discrimination, imprisonment, torture and death. I am no longer in fear of anything. At this moment, I feel peaceful and blessed! with such rich poetic sentiments?